Great single level end unit home in the highly desirable community of Laurelwood. This lovely home features an open floor plan with large living room, dining room, kitchen plus two spacious bedrooms and inside laundry. The light and bright living room flows from the dining room and features sliding glass doors leading to a private patio. The master suite features lots of closet space and a master bathroom, with another sliding glass door out to a private patio. The secondary bedroom is a generous size and shares the full hall bath. Parking is right outside â two covered carports right next to a guest parking spot. Enjoy the resort-like association amenities in the park-like setting, which includes a pool and spa, playground, picnic tables, tennis courts, sports courts, and outdoor barbecue. Residents can also apply for community RV parking/storage for a small monthly fee. 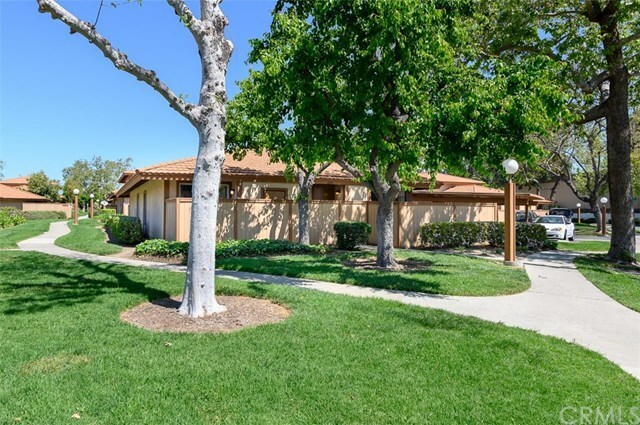 Laurelwood is conveniently located close to the Irvine/Tustin Marketplace, the District, Tustin Metro, and John Wayne Airport, local dining, shopping, schools, and freeway access. No Mello-Roos and very Low HOA Dues!